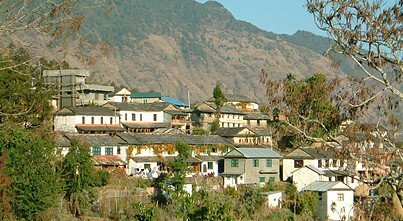 Sirubari village tour is newly opened model home-stay trekking and tour destination in Nepal. 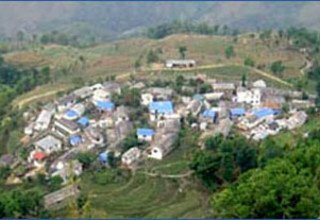 Sirubari village is very attractive village for trekkers and sightseer with its Culture of peoples, superb Mountain View, farming community village, hearty welcome. The Sirubari village is a totally unspoiled Gurung village which is situated southwest of Pokhara. 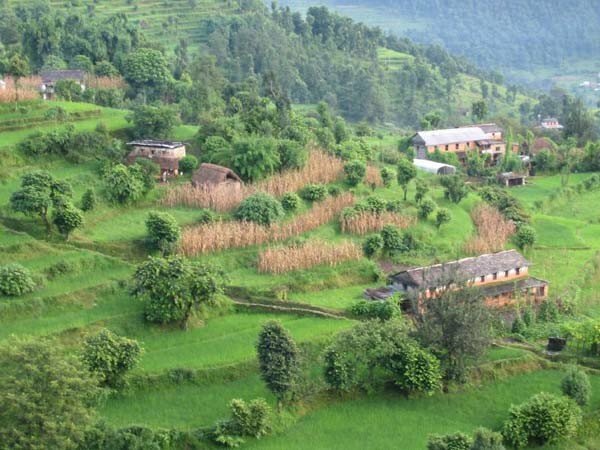 This village is without doubt the place in Nepal which is neat and clean, while people are friendly, educated and enthusiastic on tourism, environment is kept well suited for tourists. 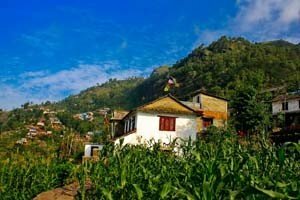 So Nepal is the best destination not only for the adventurous to experience the Trekking, Rafting, Jungle Safari, Peak Climbing and Expeditions but also those seeking to experience old culture, festival, lifestyle, natural beauties and superb view of Himalayan Range. 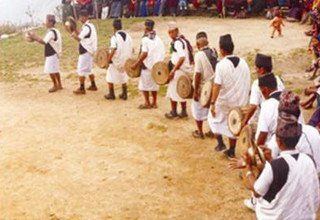 Major attraction: Culture program, lifestyle of peoples, wildlife, excellent view of Himalayan range, neat and warm hospitality. Day 2: Sightseeing in world heritage sites by private car. Day 3: Kathmandu to Pokhara by AC tourist bus. Transfer to Hotel. 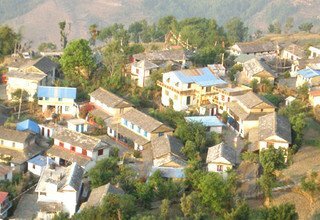 Day 4: Drive from Pokhara to Arjunchupari with private car and walk to Sirubari village. Meet and welcome by the Family Group from Sirubari village and watch the Local Cultural Programs. Overnight at Home-Stay. 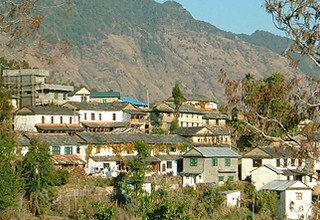 Day 5: Explore the Village and its surrounding and observe their the daily lifestyle of Gurung Peoples. Overnight at Home-Stay. 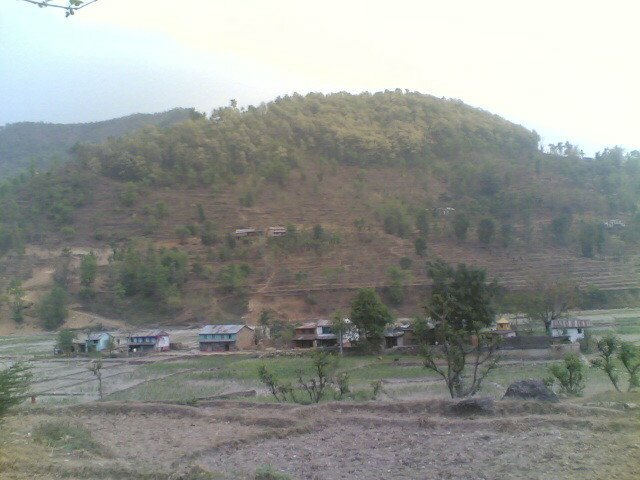 Day 6: Hike to Dahare Hill for excellent view of mountains and village scenery. Spend the last evening cultural programs performed by family group. Overnight at Home-Stay. 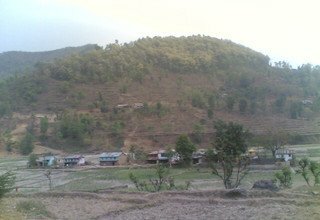 Day 7: Walk from Sirubari village to Arjunchaupari and drive back to Pokhara by private car. Transfer to Hotel. 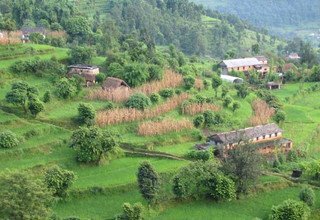 Day 8: Drive from Pokhara to Kathmandu with AC tourist bus and transfer to Hotel. Day 9: Sightseeing in world heritage sites by private car. Day 10: Departure to International Airport. N.B : The package can be redesigned or redeveloped as per your taste. For more information please e-mail us at snftnepal@yahoo.de.